Try lifting the tip of your nose to see if you breathe better. If so, the external adhesive nasal strips that athletes have popularized may help. 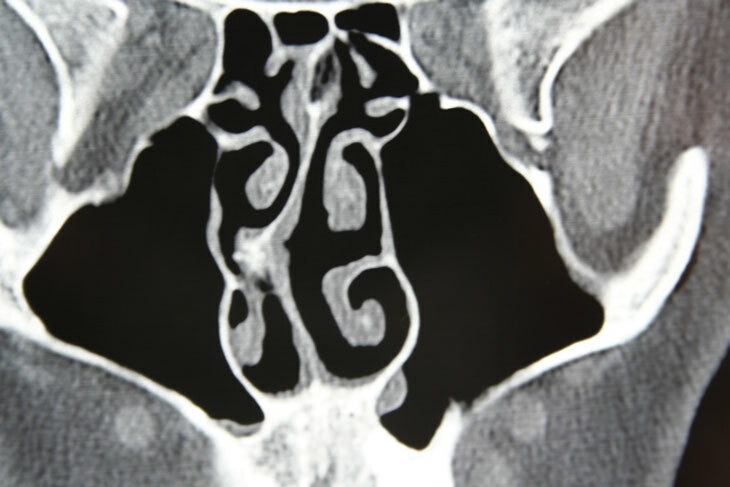 Or talk to a facial plastic surgeon/otolaryngolgist about septoplasty, which will involve trimming, reshaping or repositioning portions of septal cartilage and bone. (This is an ideal time to make other cosmetic improvements as well.) Soft silicone splints are placed in the nostrils for 1 week to hold the septum in its new position. Patients may experience some internal swelling for a week or two. However, after the silicone splints are removed, most people enjoy a dramatic improvement in breathing that continues several weeks after surgery.